Namaskara is a traditional welcome in India. Namaskara Mudra is a practice of bringing both palms together and placing them just above the breastbone which is also considered the seat of spiritual heart. The spiritual significance of Namaskara is- recognise the divine encased in the person whom you are greeting a person by sharing the divine light with that person with Namaskara Mudra. What does the practice of Namaskara Mudra do to you? Namaskara Mudra can transform your life like it happened with Mr. Manjunath. Here are some unknown facts about Namaskara Mudra. The Rishis knew from their research and practice that there is only one love… God’s Love. And that every other emotion is futile… a waste of precious life-force energy. They also found out that God’s love is constantly flowing through each one of us. In their meditations, the realisation dawned that God’s Love flows through us so it can be shared. They were faced with a logical question. If God’s love is flowing through each and everything all of the time, then why share? The answer came – By sharing anything, we enhance its quality and quantity. If we share joy, we experience more joy. If we share unhappy stories, we will get to hear other’s unhappy stories too. What you share just multiplies. Hence, namaskara mudra is a practice of sharing God’s love. By sharing God’s love with as many aspects of creation as possible, the rishis opened up the themselves to gushes of God’s love which helped them be in bliss. As a part of my personal social outreach initiative, I visited the Pottery Town Government school. The school’s 10th grade pass percentage was 14 percent. So, the work I chose was to transform this figure. My first step was to help the teachers resolve their domestic issues. Teachers use the cane which we are all familiar with. Though most teachers’ intent to use this cane is to discipline the children, they end up using this cane to went our their frustration. The result – children are angry and irritated. Especially in Government Schools the children are free to stay away from school at will. The principal of this school was Mr. Manjunath. He too was frustrated with several issues. When I visited the school, the impression of the principal was; nothing will change. However, the teachers were keen. First the lady teachers came. We had an open interaction. They shared their domestic challenges. And I shared with them the practices. One by one, the teachers’ lives improved. The use of cane came to be used as intended. The school principal took notice of the change in the teachers. One day, as I was leaving, after my work at school, Mr Manjunath called out to me. He walked up to me and asked me; I need your help now. I couldn’t see whether his request was genuine or whether he was challenging me. Nevertheless, I decided to listen to what he had to say. Mr. Manjunath said that he was headed to the Senior Secondary Board. He said that the board members did not show any respect to him. They would never offer him a chair, nor offer tea or snacks. He asked me if there was any practice he can do to make his life better! So, I asked Mr. Manjunath to bring his hands together and form the Namaskara Mudra. I asked him to visualise the people of the board. Then, I asked him breathe and fill himself with light. Finally, he shared this light with each one of them until he saw each one of them smiling. The whole practice happened within ten minutes. Mr. Manjunath left for the Senior Secondary Board and I came away. Two weeks later when I visited the school, Mr. Manjunath and I met again. He was all smiles. I had forgotten about our meeting and the practice. He narrated the outcome of the practice. When Mr. Manjunath visited the board after our meeting, it was a transformative experience for him. The Namaskara Mudra had worked wonders for him. The board members offered him chair to sit. They also offered him Tea and snacks. Not only that, today, Mr. Manjunath’s work style changed. He worked with self respect. Today, Mr. Manjuanth is an example to all Government Schools in Karnataka. He has since been promoted and is a member of the Senior Secondary Board. 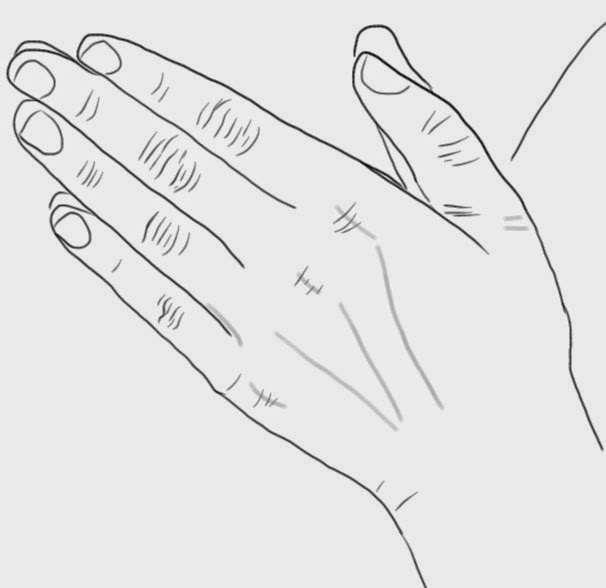 Bring both hands together with fingers extended and place your wrist just above the breast bone. Point your fingers away from your body. This is the Namaskara Mudra. While you maintain Namaskara Mudra, in your inner scene, visualise your friends, family, relatives, acquaintances, and people whom you like. Visualise a flower in the centre of your chest. Also visualise the Sun up in the sky. With every inhalation, receive beams of light from the Sun, flow into the flower. Visualise it fill your entire being with light. When you breathe out, direct this light out of your chest, through the Namaskara Mudra, to all the people whom you have visualised. Practice it till you see everyone happy and filled with this light. When the list of people whom you have visualised have been filled with light, its time to visualise other people whom you have known. These are the people whom you don’t like and those whom, you think, don’t like you. Then, practice directing this light to all these people. Namaskara Mudra also melts differences. This is true Sanatana Dharma. The practice of Namaskara Mudra can be intoxicating. Don’t do this practice while driving your car. It can cause tears of joy to flow. It may also cause you to smile and laugh uncontrollably. Make the practice of Namaskara Mudra a priority everyday. This practice will help you stay in your natural state of pure love and joy. When you truly practice Namaskara Mudra, your life will transform magically.